In a new study, researchers have discovered new evidence to support the Younger Dryas Impact Hypothesis. 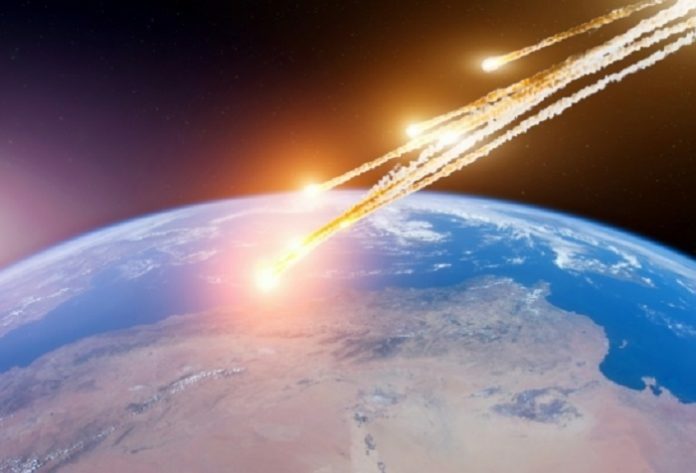 The theory suggests that a fragmented comet slammed into the Earth close to 12,800 years ago. It hypothesized the impact lead to rapid climatic changes, massive extinctions, sudden human population decrease, and cultural shifts and widespread wildfires. The study was conducted by researchers from several universities in the U.S. and South America. The theory has been controversial since it was proposed by researchers, but the current finding provides new evidence to support it. In the study, the team discovered a 31-kilometer-wide impact crater beneath the Greenland ice sheet. They believe it may be one of the many comet fragments that struck Earth at the onset of the Younger Dryas. The team recognized changes known to be associated with the impact event a few years ago. They found a “black mat” layer that coincided with the disappearance of South American Pleistocene megafauna fossils. It was an abrupt shift in regional vegetation and a disappearance of human artifacts. After that, the researchers decided to run analyses of impact-related proxies in search of the layer. The layer also showed peak concentrations of platinum and gold, and native iron particles rarely found in nature. The researchers suggest that volcanic rocks in the southern Andes can be rich in chromium, and these rocks provided a local source for this chromium. They also found a large biomass burning event that micro-charcoal and signs of burning in pollen samples researchers collected at the impact layer shown. They suggest that the impact and its linked major environmental effects may have contributed to the extinction of local South American Pleistocene megafauna. This new study also shows that a cosmic impact triggered the atmospheric and oceanic conditions of the Younger Dryas. The team suggests that the Younger Dryas climatic onset is an extreme global event. One author of the study is James Kennett, a professor of geology. Other researchers contributing to the work came from Universidad Austral de Chile, Universidad Católica de Temuco, Elizabeth City State University, University of South Carolina, Northern Arizona University, DePaul University, Comet Research Group. The study was published in the journal Nature Scientific Reports.